Pervomartovtsy (Russian: Первома́ртовцы; a compound term literally meaning those of March 1) were the Russian revolutionaries, members of Narodnaya Volya, planners and executors of the assassination of Alexander II of Russia (March 1, 1881) and the attempted assassination of Alexander III of Russia (March 1, 1887, also known as "The Second First of March"). The assassination in 1881 was planned by Narodnaya Volya's Executive Committee. 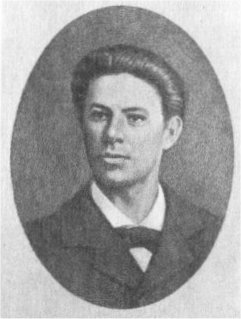 Andrei Zhelyabov was the main organizer. After his arrest on February 27, he was replaced by Sophia Perovskaya. Alexander II was killed on March 1, 1881 by a bomb, thrown by Ignacy Hryniewiecki. Hryniewiecki wounded himself fatally in the assassination; Nikolai Sablin committed suicide. Accomplices - Zhelyabov, Perovskaya, Nikolai Kibalchich, Hesya Helfman, Timofei Mikhailov, Nikolai Rysakov - were tried by the Special Tribunal of the Ruling Senate on March 26-29 and sentenced to death by hanging. On April 3, 1881 five Pervomartovtsy were hanged (except for Helfman, whose execution had been postponed due to her pregnancy. Her execution was later replaced with katorga for indefinite period of time; she nevertheless died of a post-natal complication in prison). The second "First of March" was planned by members of the "terrorist faction" of Narodnaya Volya, including Aleksandr Ulyanov. On March 1, 1887, they came to St. Petersburg's Nevsky Prospekt with bombs and waited for the carriage of Tsar Alexander III to pass by. However, they were arrested on the spot before his arrival. All of the 15 accomplices - Aleksandr Ulyanov, Petr Shevyrev (main organizers), Pakhomiy Andreyushkin, Vasili Generalov, Vasili Osipanov (bombthrowers) and ten other people - were tried by the Special Senate Committee on April 15–19 and sentenced. The first five were hanged on May 8, 1887; the rest were sentenced to prison, banishment, or katorga. Nikolai Ivanovich Kibalchich was a Russian revolutionary of Ukrainian origin who took part in the assassination of Tsar Alexander II as the main explosive expert for Narodnaya Volya, and was also a rocket pioneer. He was the paternal uncle of revolutionary Victor Serge. Ignacy Hryniewiecki was a revolutionary and independence fighter, member of People's Will and the principal assassin of Tsar Alexander II of Russia. Aleksandr Ilyich Ulyanov was a Russian revolutionary. His younger brother was Vladimir Lenin. He is referred to as Sasha, a common diminutive form of the name Aleksandr. 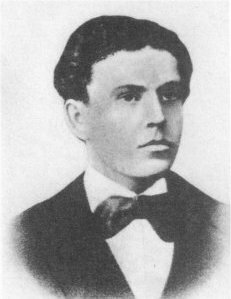 Nikolai Ivanovich Rysakov was a Russian revolutionary and a member of Narodnaya Volya. He personally took part in the assassination of Tsar Alexander II, throwing a bomb that disabled the Tsar's carriage. A second bomb by an accomplice, Ignacy Hryniewiecki, killed the Tsar. Rysakov was promptly arrested, put on trial, and hanged, along with other accomplices. Timofey Mikhaylovich Mikhaylov was a Russian boiler maker and revolutionary who participated in the assassination of Tsar Alexander II. Sophia Lvovna Perovskaya was a Russian revolutionary and a member of the nihilist revolutionary organization Narodnaya Volya. She helped orchestrate the successful assassination of Alexander II of Russia, for which she was executed by hanging. Pyotr Yakovlevich Shevyryov was a Russian revolutionary, member of Narodnaya Volya. Hesya Mirovna (Meerovna) Helfman, was a Russian revolutionary member of Narodnaya Volya, who was implicated in the assassination of Alexander II of Russia. Nikolai Alekseyevich Sablin, was the son of a petty landowner, was born in 1849 or 1850. While at Moscow University he became involved in revolutionary politics as a member of the Narodnaya Volya or People's Will. Ivan Panteleymonovich Yemelyanov was a Russian revolutionary and a member of Narodnaya Volya who took part in the assassination of Tsar Alexander II. Sergey Petrovich Degayev was a Russian revolutionary terrorist, Okhrana agent, and the murderer of inspector of secret police Georgy Sudeykin. After emigrating to the United States, Degayev took the name Alexander Pell and became a prominent American mathematician, the founder of school of Engineering at the University of South Dakota. The Dr. Alexander Pell scholarship is named in his honor. Sofiya Perovskaya is a 1967 Soviet biopic film directed by Lev Arnshtam. The film is based on the life of Sofiya Perovskaya, member of Narodnaya Volya, executed for taking part in planning the successful assassination of Alexander II of Russia.